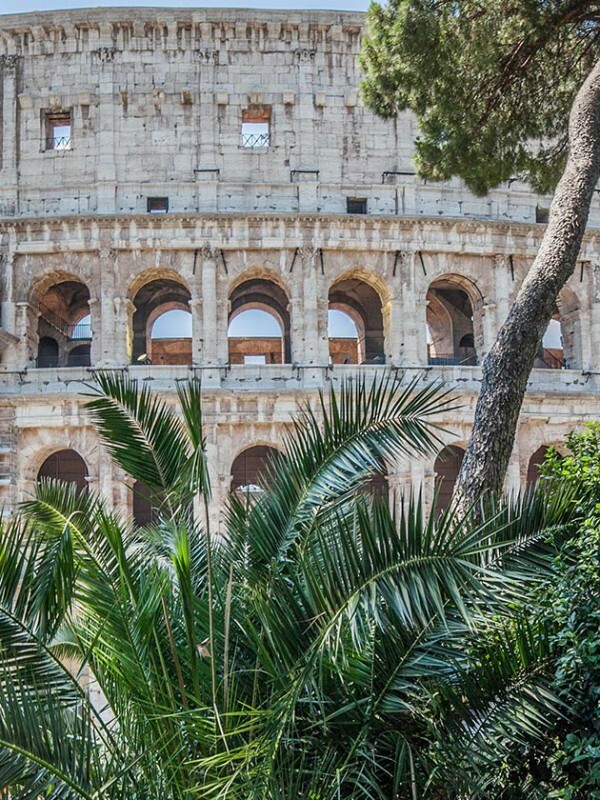 Rome is unrivalled, but it is also gradually disintegrating. Slowly, but surely the magnificent façades are crumbling, and in the churches the formerly vibrant, glowing colors on the walls are fading. 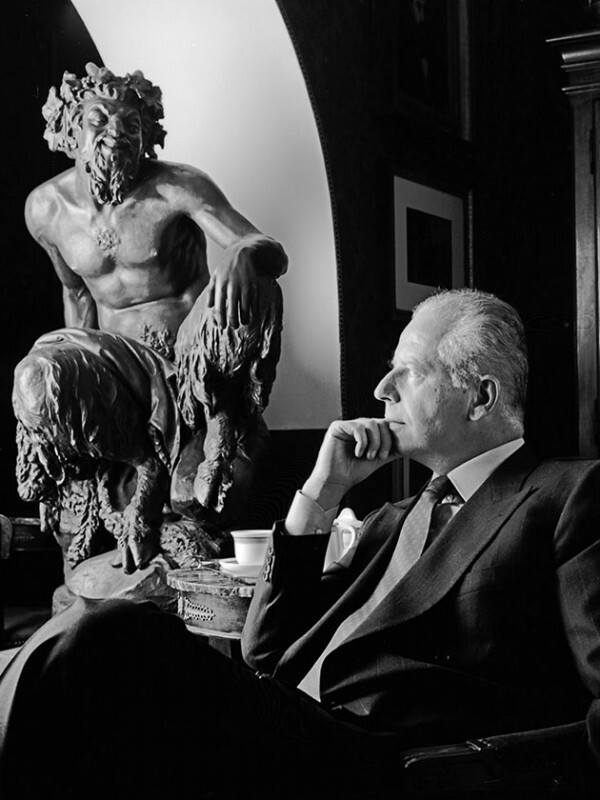 “Italy has so many art treasures that the government can’t possibly preserve them all. This is why, we, as private entrepreneurs, have to support it,” says Paolo Bulgari, whose grandfather founded the luxury brand of the same name. Paolo Bulgari has most certainly backed his words with deeds. Last year, he donated several million euros to finance the renovation of the Scalinata di Trinità dei Monti, which was built between 1723 and 1725 and is more commonly known as the Spanish Steps. 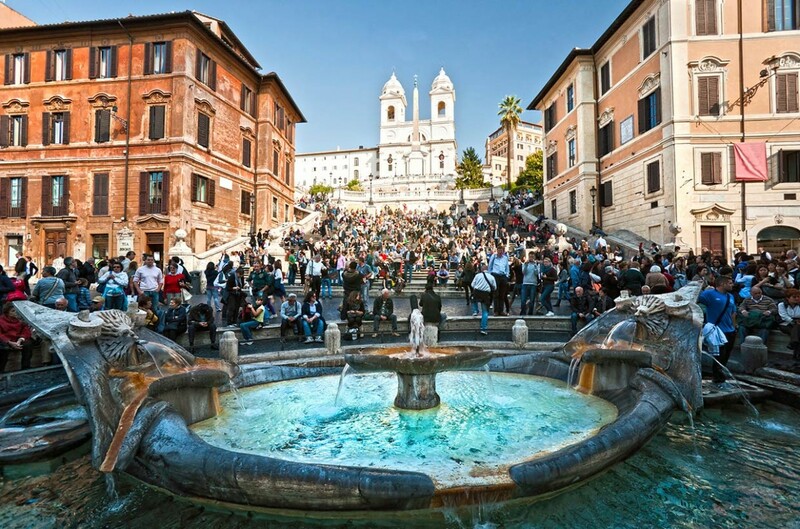 What is probably the most famous set of outdoor stairs in the world connects the Santa Trinità dei Monti church and the Piazza di Spagna with spectacular, curved elegance. The piazza itself was named after the influential Spanish ambassador to the Vatican, who resided there, in a palazzo. Bulgari is by no means the sole patron. “It is a duty and an honor to help the city of Rome, because we owe this city so much,” explains Silvia Venturini Fendi. 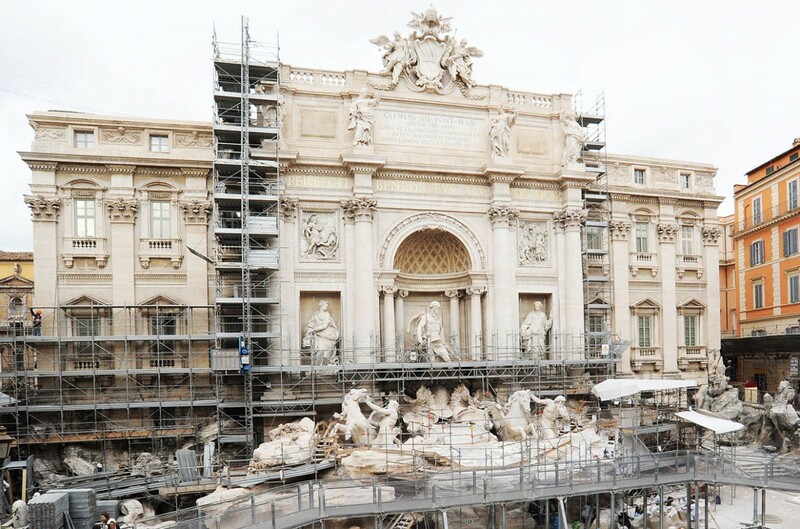 The designer has picked a veritable icon to support from the large number of imperiled structures in her hometown – the Trevi Fountain. She and her fashion company, which was founded in Rome in 1925, are funding the roughly two million-euro refurbishment. Given just how much it has imprinted itself into our collective memory, the iconic scene in Fellini’s La dolce vita featuring the fountain really deserves to be part of UNESCO’s world heritage. When Anita Ekberg, wearing a clinging, strapless black evening dress, takes a spontaneous dip in the fountain late at night, she completely turns the head of the poor gossip columnist Marcello Rubini, played by Marcello Mastroianni. The monumental fountain (which is about 26 meters high and roughly 50 meters wide) is a work of art dating from the late Baroque era. It is adorned with several allegorical figures and fantastical water creatures, and seems to be set in its own curtain façade. That, however, belongs to the Palazzo Poli located behind it. The fountain is currently being renovated with military precision. Unlike public authorities, and as befits a creative private enterprise, Fendi is pulling out all the stops. The ambitious project has its own website featuring information, computer-generated animations and video clips. There is even a book that has been published to celebrate the project. It features elaborate artwork by Karl Lagerfeld, a long-standing designer at Fendi. The company’s civic engagement goes further still. 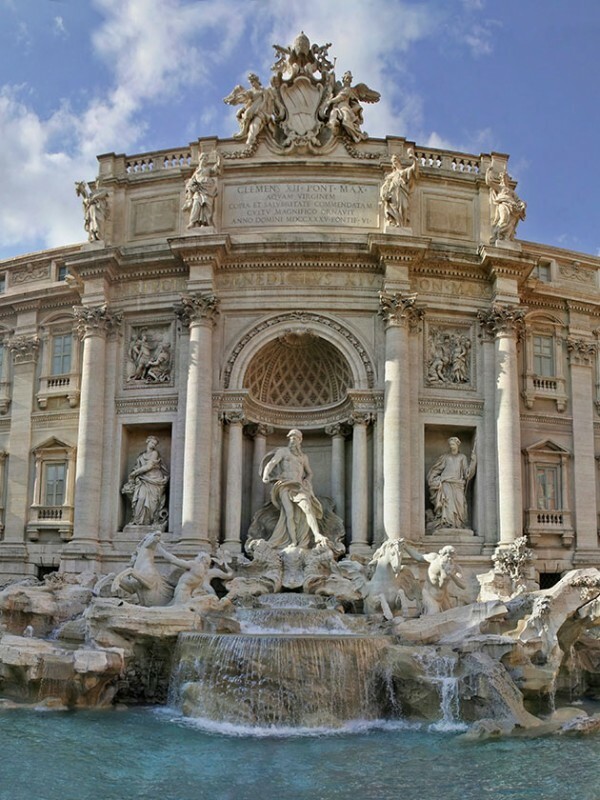 It made available several hundreds of thousands of euros, so that the Quattro Fontane (four wells) on the Quirinal Hill, which were in urgent need of repair, could also be refurbished. The well system dating back to 1558 comprises four individual wells on the four corners of the intersection of the Via del Quirinale and the Via delle Quattro Fontane. They feature the river gods associated with the Arno and Tiber Rivers, and the Roman goddesses Diana and Juno. These examples of generosity are setting a trend. It recently transpired that a hundred Ferrari owners, who met for one of their annual gatherings with their automotive treasures at the Trajan’s Market, passed around the collection tin. 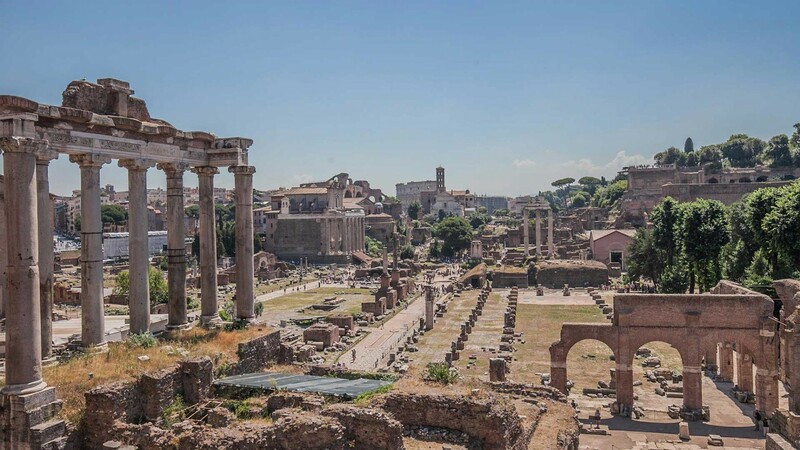 The 200,000 euros raised are to be used to preserve the last of the ancient Roman imperial fora. 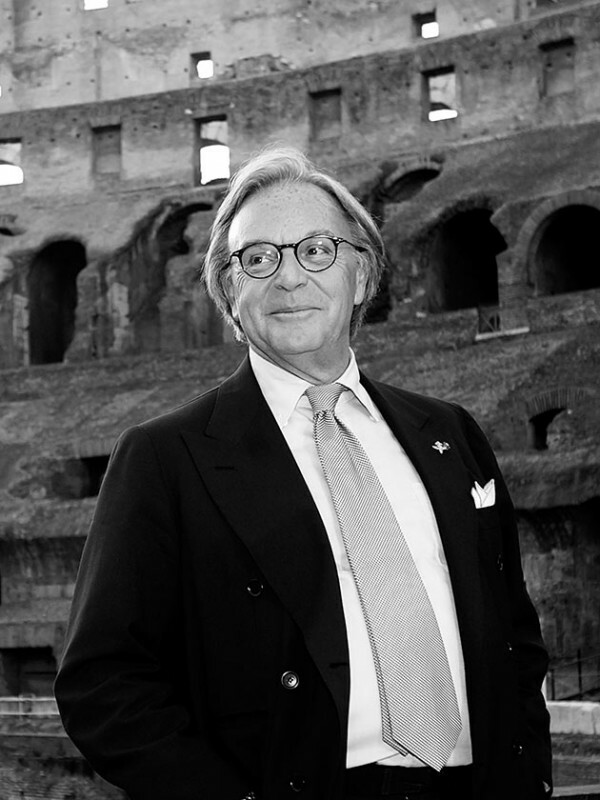 By far the greatest sum last year, however, was donated by Tod’s owner Diego della Valle. The company director from Casette d’Ete in the Marche region spent the impressive sum of 25 million euros in order to preserve the Colosseum. The work, which is being carried out in stages, while the building is still open, is to continue into the year 2016. After its completion, the largest amphitheater ever built will be bigger than ever. Up until now, many of the historical catacombs and aisles in the stands were closed for security reasons, but will soon be open to the public for the first time. But it is not just wealthy locals who are embracing these commendable projects. More and more affluent foreigners with a fondness for the city on the Tiber River relish contributing to the preservation of the structures that bear witness to its history. The latter dates back millennia and is – quite literally – multilayered. The tomb of the plebeian tribune Gaius Cestius Epulo, who lived in the time of Caesar Augustus, also forms part of this. 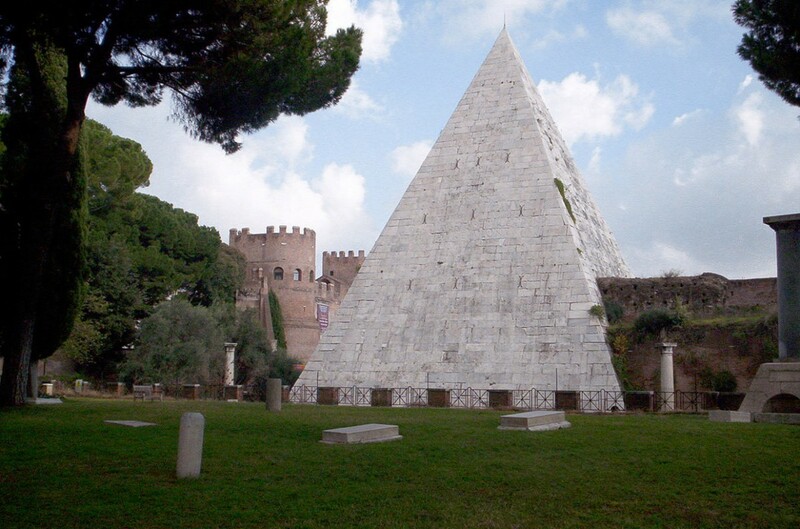 Located on the road to Ostia, in close proximity to the impressively well-fortified Porta San Paolo, it is remarkable because of its shape – that of a perfectly regular Egyptian pyramid. The restoration, which took roughly a year and was completed last December, cost two million euros. 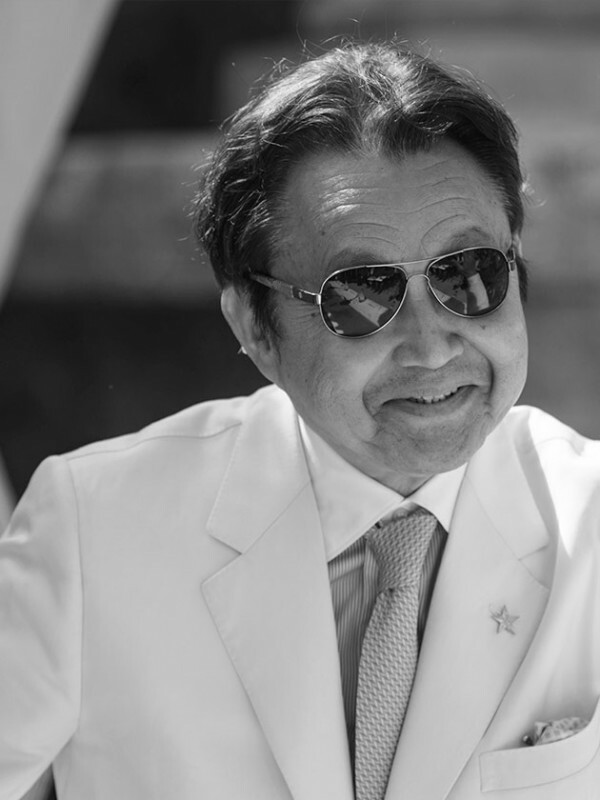 The sum came from a single donor, the Osaka-based, Japanese fashion entrepreneur Yugo Yagi. One of the other patrons who has been causing a stir in Rome is Alisher Usmanov, a Russian oligarch of Uzbek origin (and co-owner of London’s Arsenal soccer club). He supported the refurbishment of the Hall of the Horatii and Curiatii in the Palazzo dei Conservatori. And, not unlike the aforementioned club of Ferrari drivers, he donated two million euros for works at the Trajan’s Forum, which was built in 100 AD. Sometimes even foreign governments will intervene in order to preserve certain buildings. One example of this is the Bibliotheca Hertziana – Max Planck Institute for Art History, a non-university research facility based in the Palazzo Zuccari and three additional, neighboring buildings in Rome. The structure and fire safety measures of a relatively new building that was constructed in the 1960s in the former garden of the Palazzo Zuccari proved to be inadequate for the library’s more than 250,000 books, so it was demolished by architect Silvio Galizia in 2001. In its place, a new library storage facility with a reading room was constructed, based on a design by Juan Navarro Baldeweg. With this new library building, inaugurated in January 2013, the stocks of the library and photo library are now, once again, accessible to researchers from all over the world. The works were paid for by public grants and private funding from Germany.